The Era women’s model features size, shape and graphics specifically designed for women who love cycling and look for a saddle that must also be comfortable. Instant comfort is assured thanks to the big cut-out to revive pressure when riding. Appreciated by many riders the special shape of the cut-out featured in our “New Ergonomy” concept. 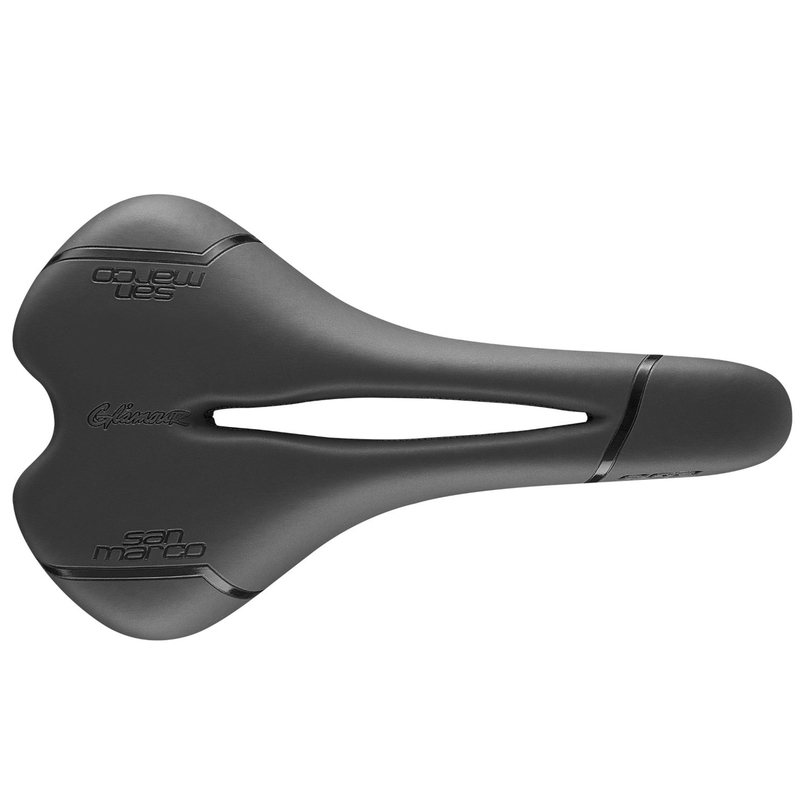 An entry level model in the SSM Collection it is an ideal saddle for cyclists that do not spend many hours on the bike or for the beginners. The new Silkfeel cover makes for a comfortable and pleasant silky touch saddle. This material increases the characteristics of the frame by improving its resistance to wear caused by shocks. This type of rail is used in the Dynamic saddles. Breathable, hard wearing and less deformable cover than traditional materials. Biocompatible material. Durable finish with silk effect.